As a corporate Mama with kids she gets the demands on Mom’s, Dad’s, families, individuals and companies in our day to day life. 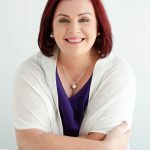 She loves to connect the dots to help people understand the root cause and best solution to meet their needs including how our brain runs the show with stories and emotions that impact us physically, mentally, and spiritually. Sandi is a Silver Leader with doTERRA with a goal of empowering 1,000 households and company workplace wellness programs by 2021. Bye bye corporate world! Hello more natural living and wellbeing empowered households and companies!